Recently, I sold a home in Medway Massachusetts where the previous owner had a couple of cats. When showing this home to my buyer clients, there was an overpowering odor present. We figured it was the cat box and that the cats may have gone to the bathroom on the carpets at one point or another. The buyers thought that with the cat boxes gone and the carpets cleaned the home would be odor free. Unfortunately, this carpet cleaning did not do the trick, and the cat odor remained. The buyers gave me a call and asked me if I had any words of wisdom. My 1st thought was getting an ozone machine. In my experience, an ozone system is one of the best methods to remove pet odors. An ozone generator will not only remove pet odors but other troublesome odors caused by mold and mildew, fire, water damage, and others. Ozone is considered "natures deodorant" and can get rid of many types of nasty smells. There are a few types of ozone generators. The most common types are UV and Corona Discharge. The UV generator is generally recognized as the better of the two versions. The most significant difference between the two is that the UV ozone generator has a more stable ozone output. The Corona discharge unit can be affected by the humidity levels in the home. The ozone that is made from a UV ozone generator is cleaner because it does not produce any nitric acids. The smell is also considered better than ozone generated by a Corona, discharge model. It is possible that some very minor odor problems can be taken care of by a homeowner who purchases their own portable ozone generator and moves it room to room to room. In most cases, however, a professional would need to take care of the odor issue. 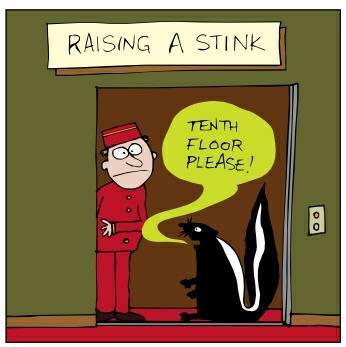 When the odor problem is severe, a professional will do what is known as a "shock treatment." A shock treatment will introduce a highly concentrated burst of ozone into a larger area. When a shock treatment is done people, pets, and even plants can not remain as the ozone in such high quantities can be a health hazard. It should be noted that there is some controversy over the effectiveness of ozone as an odor remover. The Environmental Protection Agency (EPA) actually goes out of there way to dispel some of the beliefs that ozone removes odors. The information provided below is taken from the EPA'S website regarding ozone. "There is evidence to show that at concentrations that do not exceed public health standards, ozone is not effective at removing many odor-causing chemicals." "In an experiment designed to produce formaldehyde concentrations representative of an embalming studio, where formaldehyde is the main odor producer, ozone showed no effect in reducing formaldehyde concentration (Esswein and Boeniger, 1994). Other experiments suggest that body odor may be masked by the smell of ozone but is not removed by ozone (Witheridge and Yaglou, 1939). 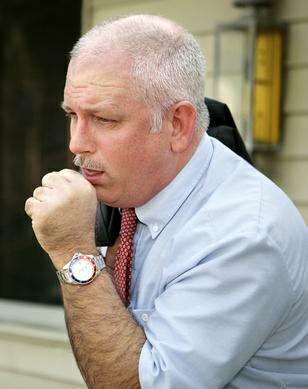 Ozone is not considered useful for odor removal in building ventilation systems (ASHRAE, 1989)." "While there are few scientific studies to support the claim that ozone effectively removes odors, it is plausible that some odorous chemicals will react with ozone. For example, in some experiments, ozone appeared to react readily with certain chemicals, including some chemicals that contribute to the smell of new carpet (Weschler, 1992b; Zhang and Lioy, 1994). Ozone is also believed to react with acrolein, one of the many odorous and irritating chemicals found in secondhand tobacco smoke (US EPA, 1995)." Ok so maybe ozone generators don't remove the smell of dead people or formaldehyde. Hope I don't ever have to deal with that one! In my experience, I have seen ozone work as an effective treatment of pet and other common household odors. While anyone can go to the store and buy an ozone generator, there are health consequences worth noting. According to the EPA, fairly low amounts of ozone can cause chest pain, coughing, shortness of breath, and, throat irritation. Ozone may also worsen chronic respiratory diseases such as asthma and decrease the body's ability to fight respiratory infections. People vary widely in the health effects of ozone. Healthy people, as well as those with respiratory issues, can experience breathing problems when introduced to an environment with ozone. Bottom line if you have issues that you have not been able to solve with other cleaning methods you may want to consult with a professional who deals with ozone treatments as a method of odor removal. Thinking of selling your home in Metrowest Massachusetts? Here are a couple of articles to help get your home prepared for the market. I Service Real Estate sales in the following towns in Metrowest Massachusetts: Hopkinton, Milford, Upton, Southboro, Westboro, Ashland, Holliston, Mendon, Hopedale, Medway, Grafton, Framingham, Northbridge, Northboro, Uxbridge, Franklin, Douglas, and Bellingham MA.